EAA Experimenter 17 A BEAUTIFUL AMATEUR-BUILT airplane called El Ese landed on Runway 36 at Wittman Airport with little fanfare two days before the beginning of EAA AirVenture Oshkosh 2014. 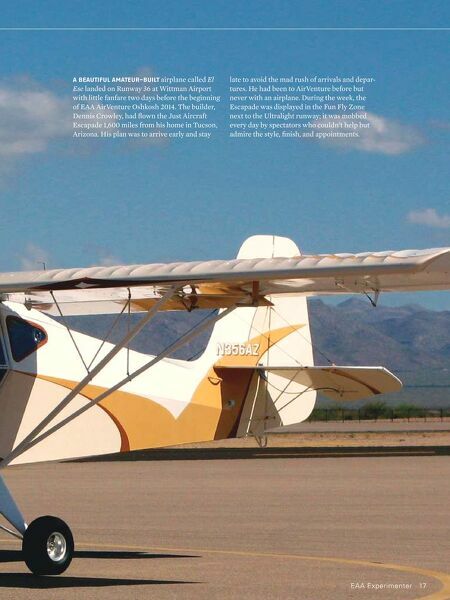 The builder, Dennis Crowley, had fl own the Just Aircraft Escapade 1,600 miles from his home in Tucson, Arizona. His plan was to arrive early and stay late to avoid the mad rush of arrivals and depar- tures. He had been to AirVenture before but never with an airplane. 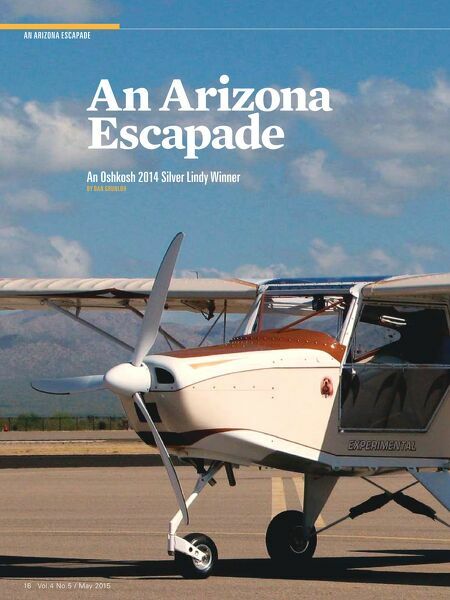 During the week, the Escapade was displayed in the Fun Fly Zone next to the Ultralight runway; it was mobbed every day by spectators who couldn't help but admire the style, fi nish, and appointments.